What is Niche Affiliate Marketing? What is Niche Affiliate Marketing? Even better what is a Niche? Well a niche is a specific group or segment of the marketing field. So niche affiliate marketing is when your focus is on a particular topic or subtopic. Some examples of a niche would be topics such as health, make money online, relationships or even green energy. An example of a sub niche would be fat loss. Now with that all said, its not to say that having a broad range of topics on your blog or social media is a bad thing however, being focused on a particular subject or “niche” can benefit your marketing greatly. Choosing a niche can keep your visitors from getting scattered and wander away. It has been proven time and time again that marketing according to a niche provides way better results. That’s not to say that you have to stick to one niche but make sure that they are kept separate. For example having a fitness blog and a video gaming blog. Understanding niches is a very important as you as an affiliate will need to keep and eye on the various niches to see which ones are trending and whats falling out of favor. Something to keep in mind is that just because, lets just say, Make money online is a huge niche, doesn’t mean that you as a new affiliate should choose such a niche. Not right away. The simple reason for this is, as a new affiliate you more then likely will not have the foundation, following, or the resources necessary to compete with the “big guys” that have being doing this for a very long time. So our suggestion to you if you are a newer affiliate is to start with more specific niches that are not so competitive, like dog training for example. We will be doing a more in depth write up on this in a future post. Once you have chosen a niche, remember that content is key and is the core of your marketing efforts. Insure that you stay within your niche (content wise) as random deviations from your niche can cause viewers to lose interest and not come back to your content. Once you have that all in mind the next thing to think about is what keywords you are going to use to bring traffic to your site. Keywords being what search engines use to find content. Keyword research will be the one skill that you cannot avoid. Sadly no one really does keyword research the same and everyone will also have various opinions. To learn more about keyword search for you niche Here is a great place that will teach you everything, They have hidden tools you can use for free, We are called Wealthy Affiliate, a very powerful and a very lucrative online business. Niche marketing is a proven method that will do wonders to your commissions. Are you looking to make money online? Possibly start an internet based business? 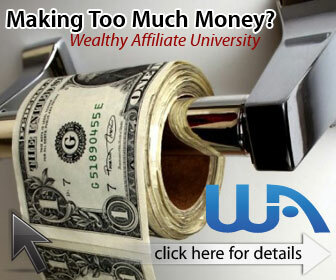 Well Affiliate Marketing might be exactly what you’re looking for. With the shear amount of affiliate programs out there, the opportunities are endless. Affiliate marketing is a business were you the affiliate drive traffic to products and services of your choosing. If some of the traffic that you send decides to make a purchase you earn a commission on that sale. The process of being a successful affiliate marketer can seem really overwhelming when you first get started. Rest assure when you really take a look at the big picture, it’s easier then it seems. What tends to make the process tough for most people is they will tend to over complicate everything. Insure that the product or service you decide to promote is a quality product and or service. This is one of the most important steps. As we are sure you know, if a product or service make a bad name for itself more so online, its reputation will spread like wild fire. With that said promoting a well,,, sub par product or service, will do nothing but waste your time. The difference between making a ton of commissions or making nothing can all hinge on the quality of the product or service.